This study, “MANAGEMENT OF LIFE ASSURANCE FUND IN NIGERIA INSURANCE INDUSTRY” contains concise information that will serve as a framework or guide for your project work. The project study is well-researched for academic purposes and are usually provided in complete chapters with adequate References. It is common to see report of business falling than business succeeding almost always, the failure or success of a business can be attributed to its management. When a business is mismanaged, it will lead to liquidation, the company will not meet their solvency margin thereby running away from their obligation as to settle claims which in turn portray ugly insurance image. This study there for is exploratory study designed to determine how life assurance fund are properly managed. The population of the study comprises both staff and customers of union assurance Enugu. A sample size of fifty (50) was selected made up of 20 staff and 300 customer both primary and secondary data were collected. Questionnaire coupled with personal interview were the main research instrument. The data was analyzed by the use of chi square statistical method. The study came out that for proper management of life insurance fund, the premium should be invested both in short band long term investments so that insurance company will meet their obligation as to settle claims. It was recommended that all the stakeholders, including management of insurance companies, policy makers and policy holder should collaborated come out with conductive business climate to ensure effect management of life assurance funds for great returns to investors. It is common to report of business failing than business succeeding almost always, the failure or success of a business can be attributed to its management. When a business is mismanaged, it will lead to liquidation the company will not meet their solvency margin thereby running away from their obligation image. However it will also have a drastic effect on the Nigeria economy when it failed. In order top nurture the interaction, this research focus on insurance industries and how they management life assurance premium, to know if the premium are invested as stipulated by law, how they handle claim and the beneficiaries and also how life assurance fund help in the economic development of Nigeria. Moreover, management of life assurance fund in insurance industry related primarily to the way the industry management life assurance premium in order to achieve organizational goal and objective using available fund efficiently and effectively. However in context to management, union assurance limited. Limited is an associate of union bank of Nigeria plc. The company was registered as an insurer on November 18, 1993 and actually commence business in 1998. At the time, it was the first attempt by any bank top venture into universal banking. It therefore become the life assurance specialist’s underwriter with in the same period. recently, union assurance is redefining those strong potential to challenge industry management with the top five brackets. Apart from restructuring its operations, the company is diversifying and expanding at a period where competitor mare contracting due to uncertain economic conditions. (a new management driving change and excellence is in place and venturing into new frontiers that were uncultivated. The changed in management has also brought to bear on the company’s operation innovation which are impacting passively on the work culture in union assurance) union assurance also has a robust investment portfolio cutting across assets in the equity, money bond and property marked totaling over N5 billion they also employs a conservative but dynamic investment strategy geared towards increasing the company income and profitability. More so, in managing life assurance fund money is pooled together with that of other investors to create a single strong fund that provide significant investors benefits which include an instant increase in buying strength there by contributing towards economic development in Nigeria. However, life assurance fund accumulate through payment made by the assured person called premium so that should death occur, prior to a specified date or upon survival at an agreed period funds would be made available from the scheme to pay whatever benefits that are due. The idea for assistance and association is not new to the Nigeria society various town and clan union and social clubs have various ways of showing benevolence to their bereaved. It is customary for people to pay condolence visit and present a sympathy purse. Practices are similar to mutual life assurance. In addition to this, there are also the long-term needs to create and sustain an enable environment that will engender safe practice against destructive runs in managing life assurance funds, protecting and ensuring fair play among insures in the industry. Inability to invest life assurance fund in varieties of security due to lack of experts. Ineffective investment management of life assurance fund which affect expectations of the insuring public and growth of the industry. To described implication and suggest possible ways of managing life insurance fund. To assess the factors that determines the area of investments of life assurance fund. To ascertain whether life assurance fund are invested more on short- term investment than on long-term investment instrument or vice versa. To promote investors confidence toward life assurance. What appropriate strategies can be put in place to ensure effective management of life assurance funds? What factors determine the areas of investment of life assurance fund? What form of investment is life assurance fund put into most (long term or short-term investments insurance)? What are the trend expectation of the insuring public? HO: Management of life assurance has no positive effect on the economic growth and development of Nigeria. H1: Management of life assurance fund has positive on the economic growth and development of Nigeria. It is aimed that study will help the insurance to plan organize and control life assurance fund in order to maintain proficiency and standard in insurance practice thereby investing life assurance fund in varieties of investment. In turn have adequate fund to settle claim which portray good insurance image and bring development in Nigeria economy. 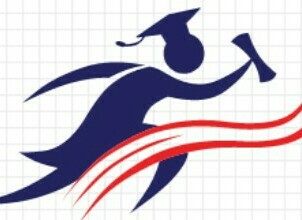 It will also aid the candidate or student having HND in insurance to know the various areas where insurance can invest. This research work limit to one of the insurance companies in Enugu, union assurance company of Nigeria to be precise. There are a lot of constraints in the gathering of information of the research work but the major constrain are following are to be precise. TIME: in report to the theoretical and practical work the time allowed the project was limited beside there was carried out with other academic assessments. FINANCIAL: Due to high rate of academic fees, I could not be able to carry out research with easy as I was planned. MANAGEMENT: This is the act of running and controlling a business or similar organization so as achieve the organizational goal. INSURANCE: Is a contract between two parties insured whereby the insured pay small amount of money called premium and the insurer promise to compensate the insured when the specified risk insured against occur. FUND: This is an amount of money that have been saved or made available for particular purpose. PREMIUM: Is the monetary consideration paid by the insured for insurance covers ie the price of service rendered.